Enjoy your favourite festive carols brought beautifully to life by the highly acclaimed London Chorus. With readings from special guests, including West End star Michael Ball, plus captivating pieces from Soprano Jocelyn Somerville. 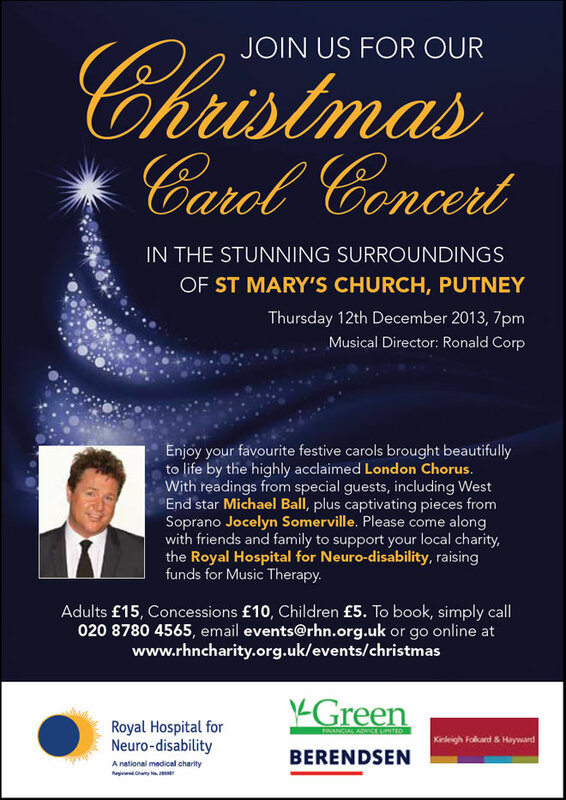 Please come along with friends and family to support your local charity, the Royal Hospital for Neuro-disability, raising funds for Music Therapy.